The fight Dana White swore he’d never make again, seems to be happening again, as a showdown between Khabib Nurmagomedov and Tony Ferguson is being eyed for later this year. Nurmagomedov and Ferguson has been scheduled to fight four times in the past, with each booking not coming to fruition due to injury or issues with weight cutting. Complicating things further is Nurmagomedov’s suspension for his part of the brawl at UFC 229 that will see him out of action until October, especially with Nurmagomedov sitting out in protest due to the treatment of his teammates who are also suspended due to the October 2018 brawl between lightweight champion’s team and Conor McGregor’s team. 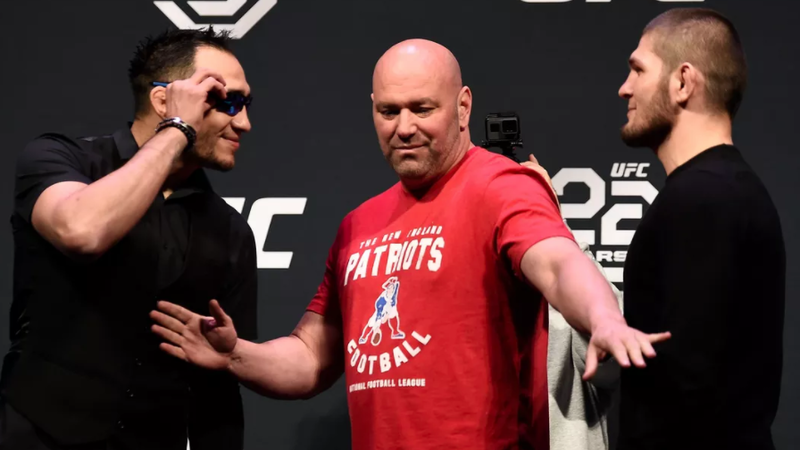 And while White claimed numerous times that he would never book Nurmagomedov and Ferguson to fight for the fourth time, the UFC president refused to deny Ferguson his place in the standings and his claim to a title shot.